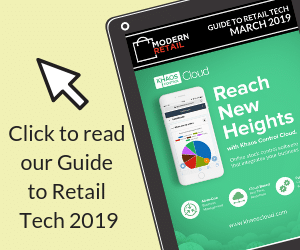 Modern Retail has brought together a panel of industry experts, who are specialists in their chosen fields, to provide high-quality, impartial and informative content to help retailers grow. You can read more about our Editorial Board members below, connect with them on social media, or click through to read their content. Zoë Hewett is a member of Modern Retail’s Editorial Board. Zoë is an interior designer with a background in theatre design and visual merchandising. A former Visual Merchandiser for Habitat, Zoë now specialises in helping independent retailers make their mark on the high street. Visit http://www.zoehewettinteriors.co.uk/ for more info. Louise Pasterfield is the founder and managing director of Europe’s largest custom digital learning provider, Sponge. The company, established in 2004, harnesses the very latest technologies to deliver seriously creative learning for employees at global brands including Tesco, Specsavers, Sainsbury’s and Marks & Spencer. The bespoke training addresses key retail challenges such as customer experience, product knowledge, onboarding, compliance and talent development. Sponge’s solutions are based on understanding the needs of both the learner and the business to change behaviours, improve performance and deliver results. Visit https://spongeuk.com for more info. As product businesses grow, they get more complicated. Catherine Erdly works with founders to help them get more organised and make more money. She does this by sharing the skills and techniques in stock management and cash flow control that she’s learned over 20 years in the retail industry. This helps them feel more confident and ready to take the next steps in their business.